A DoS attack, or Denial of Service attack, is when an enormous amount of “junk” traffic is forced on to a targeted web server by a hacker, or hackers, to achieve such overcapacity that legitimate traffic is denied access to the site, which is a real nightmare scenario for any orginazation or business. While a successful DoS attack can be orchestrated and executed with very few computer systems, Distributed Denial of Service attacks (DDoS) raise the bar considerably by magnifying the effect exponentially. DDoS attacks typically leverage large botnets, which can consist of thousands, if not millions of zombie systems, which are essentially previously compromised systems under hacker control, usually without the user of the compromised system ever even knowing their system was involved. 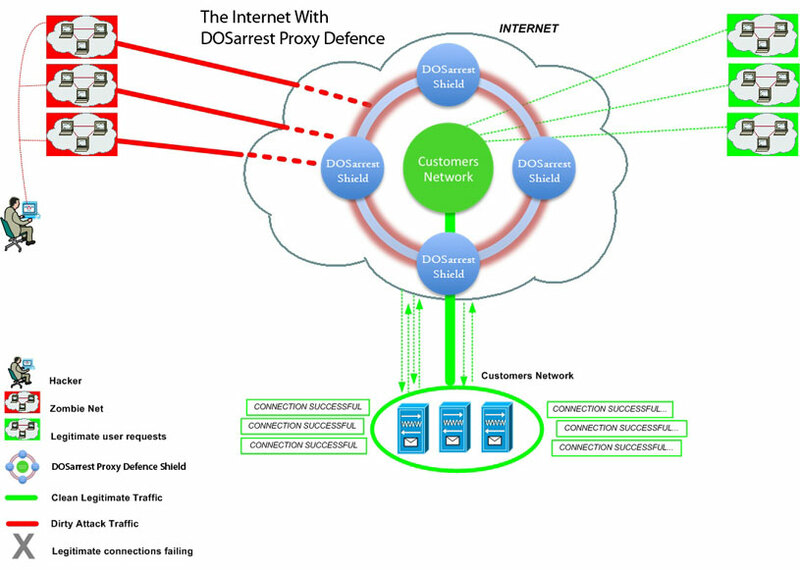 Unfortunately, with the prevalence today of hacker black markets, hackers and spammers not only rent out the use of massive botnets to anyone willing to pay the price, there is also software available which can allow even a single individual to leverage all that computing power to launch very successful and devastating DDoS attacks against their chosen target. Global Digital Forensics has partnered with DOSarrest to offer a robust, yet affordable, security offering. 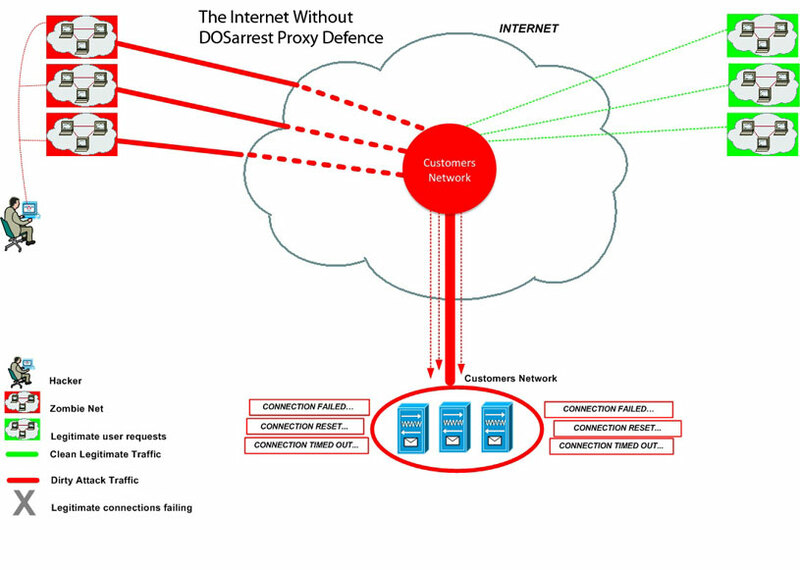 DDOS protection in a cloud based “instant on” offering gives our clients the final crucial brick in the defensive wall. 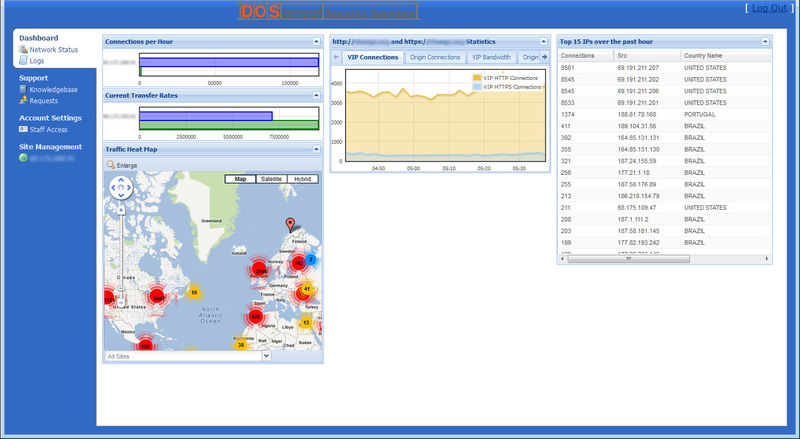 Now GDF clients can remediate DDoS attacks (Distributed Denial of Service) in near real time and get unparalleled insight into the traffic attacking their network through the GDF Security Portal. Once a website is running on our service, the site is protected 24/7 from any DDoS attack. We set alerts on the number of requests to your site for a given unit of time, using a baseline for what is normal for your site. Should the requests exceed the predetermined threshold, our team will investigate to determine the next course of action and apply any necessary mitigation techniques. This is all performed without interruption in service, or intervention by the customer. We have also built our own custom monitoring system that will alert us to any performance or site unavailability. This custom system is completely external to any of our traffic scrubbing nodes, from 6 different networks, in 3 geographic regions, that constantly monitors your site being anycasted from all of our nodes. So don’t let the success of your organization be compromised by the whims of hacktivists, disgruntled employees, or competitors. Professional protection is just a phone call away.